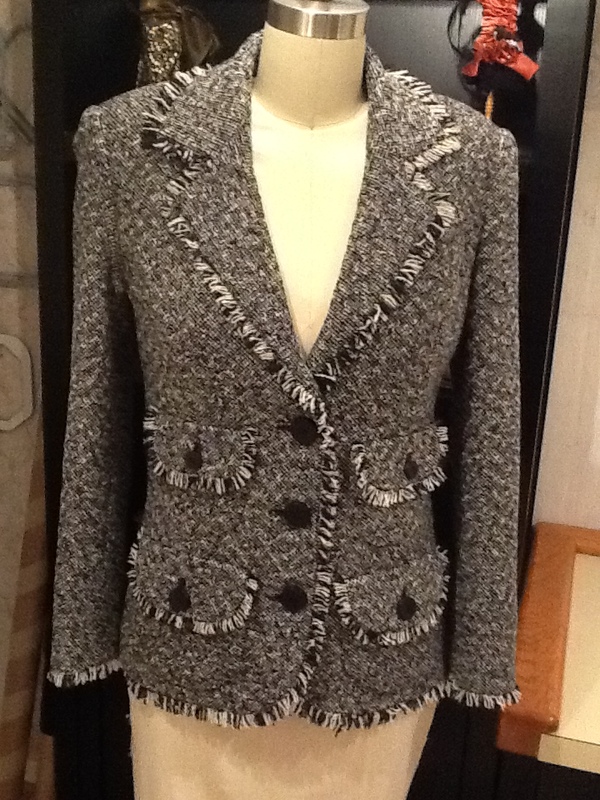 Chanel inspired jacket was made of soft Italian wool tweed. The pattern is my own design and it was constructed using couture hand techniques. The sleeve vents were faced with bias cut facings, applied with 3/4″ extending past the finished edge. 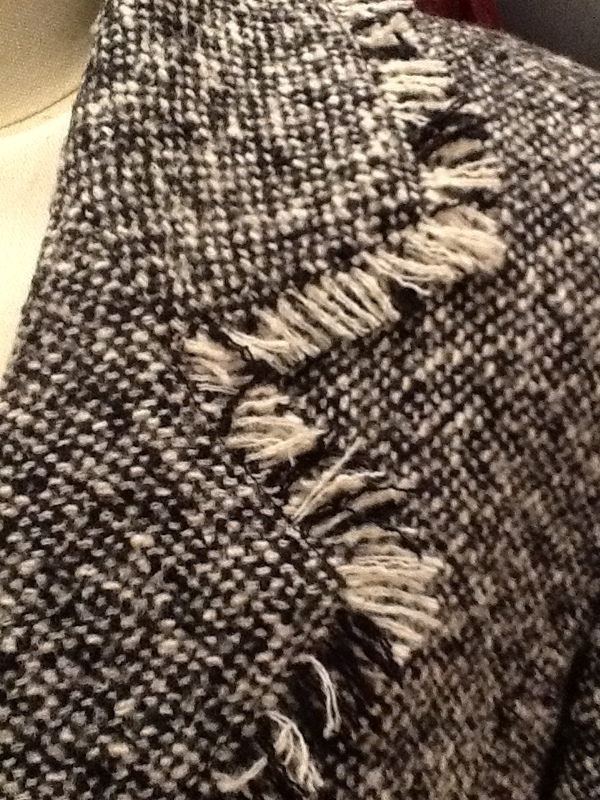 The bias edge was then frayed and trimmed to an even width of about 3/8″. 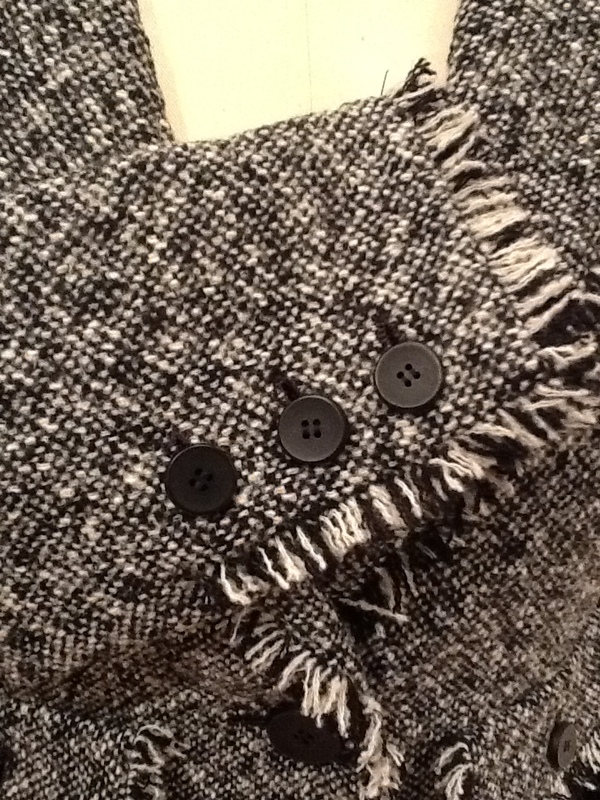 Sleeve vents are functional with hand stranded buttonholes worked with silk twist. In order to maintain the lightness found in couture, the lapel and collar facings were also cut as bias strips and shaped with steam to the proper curve. 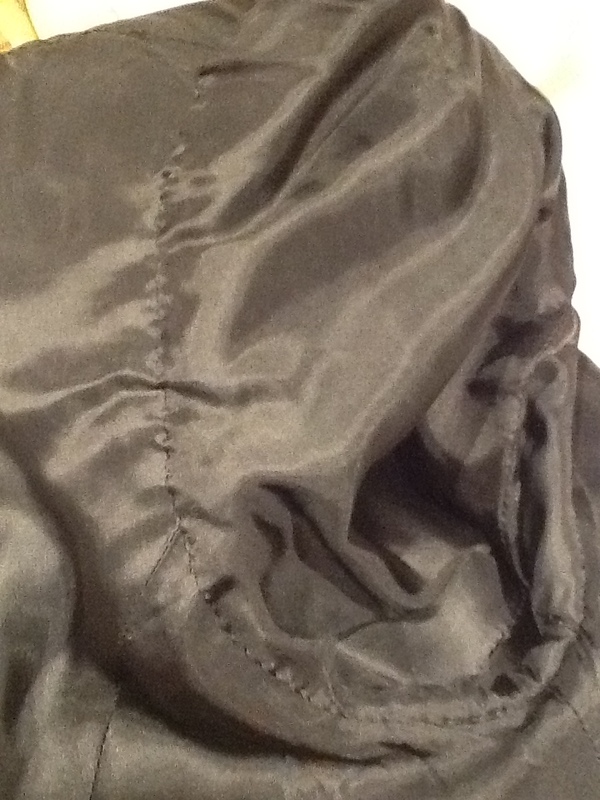 The bottom front edge of the jacket facing was shaped with two darts as necessary to curve around the lower egde. By cutting the fringe as a single layer and fraying the edge, bulk was eliminated. I tested inserting a bias strip into the seam but found it produced an edge too bulky and stiff for my desired finished effect. 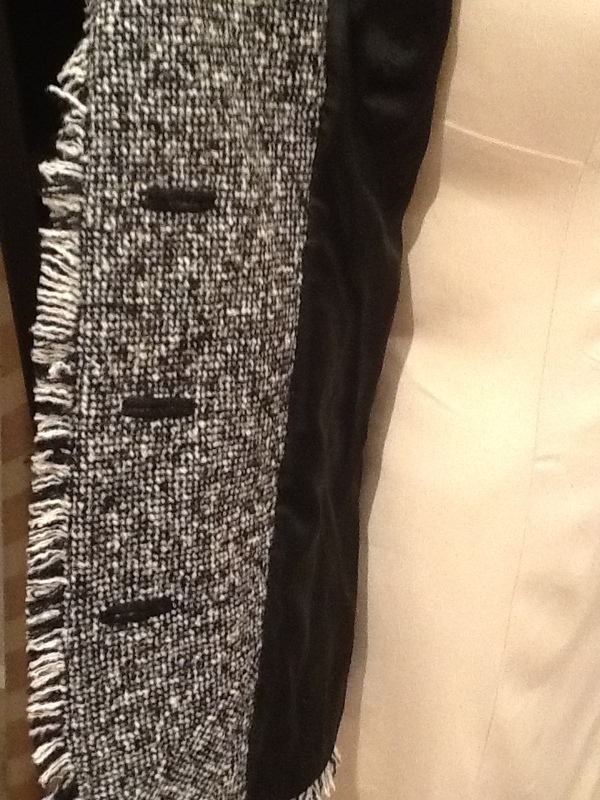 The fringed edges of the pocket flaps were made from bias strips sewn along the edges, frayed, then trimmed to an even width of 3/8″. 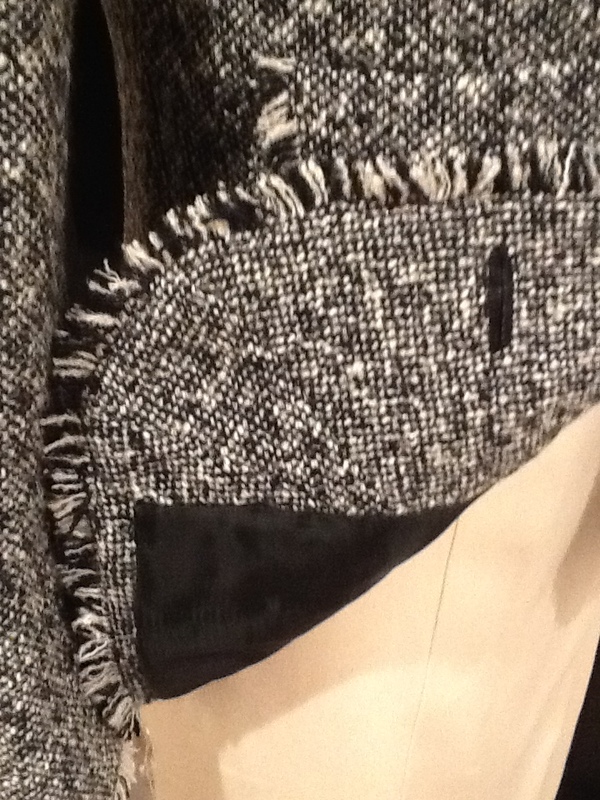 Pocket flap linings are hand felled to the wrong side and all raw edges are turned under and fell stitched. The pockets and flaps are hand applied. 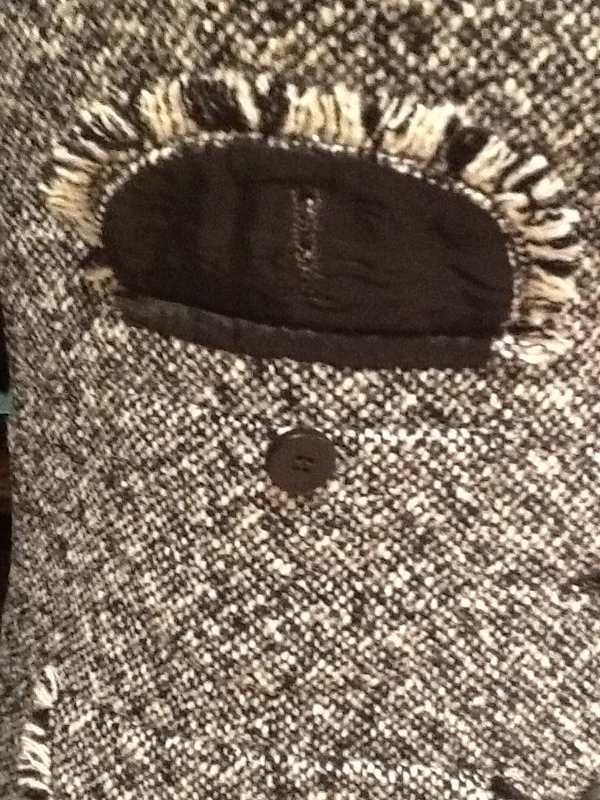 The lining is also hand sewn into the completed jacket. While time comsuming, this project produced a jacket that is very lightweight and comfortable. It moves with the body and feels wonderful. I saw this jacket on the Threads Lined Jacket contest (after the contest was already over). Such a beautiful jacket! The time you put into it is evident. It is beautiful! Maybe someday I will get the courage to make one similar….maybe. I would love to follow your blog, but don’t see a button do do this. Thanks for noticing. Scroll down to the bottom of the page and you will see a button to have your email added to the list. I’m just getting this up and running and am still trying to get everything to work right. I will be posting additional projects soon and would love comments. I will be posting a followup for the tweed jacket and will be sure to include an in-depth explanation of how to do the fringe trim. Thanks for noticing and I hope you enjoy.